No two smiles are alike, particularly when tooth loss occurs. Replacing one or more missing teeth takes the expertise of a highly experienced dental team such as your Washington, DC, dentists, Dr. Carlos Abreu and Dr. Mahvassh Abreu. They fill smile gaps with innovative dental implants, customizing them for individual patient preferences and health needs. Learn here about the many benefits of dental implants! You're created to have a specific number of teeth, and losing even one changes how you look, speak, and eat. Even supporting tissues, such as bone and gums, change after a tooth is extracted or avulsed (knocked out). In the past, partial and full dentures or fixed bridgework were the only solutions for smile gaps. Today, dentists, such as Dr. Abreu in Washington, DC, prefer placing dental implants. 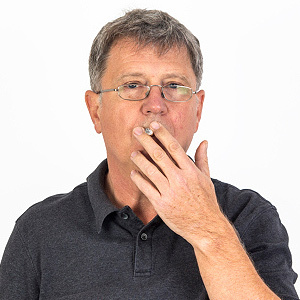 These lifelike and highly functional artificial teeth actually improve gum tissue and jaw bone density. Plus, they give patients the most natural-looking, feeling, and acting prosthetics available. 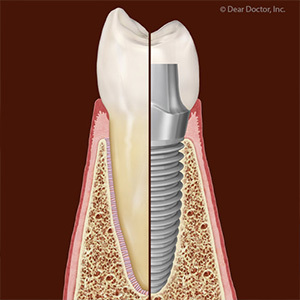 A single dental implant replaces a lost tooth from root to crown. Implant-supported dentures and bridgework anchor artificial teeth with multiple implants. Either option uses titanium implant screws surgically-inserted right into the jaw. The single implant includes a metal alloy extension post and customized porcelain crown. Through a natural bonding process called osseointegration, the jaw bone wraps around the implant and keeps it in place just as strongly as a natural tooth root would. Osseointegration takes some time but practically guarantees the longevity of a dental implant. The Institute of Dental Implant Awareness says that about 97 percent of dental implant treatments succeed and stay in place for decades. Can you benefit from implants? Many older teens and adults do. Dr. Abreu will review your health history and perform a complete examination, including special three-dimensional imaging to view your bone structure. Your jaw bone must have sufficient density, width, and height to accept the implant. If it does not, your dentist can build it up through special materials and procedures. Bone augmentation does add time to the implant process, however. Dr. Carlos Abreu and Dr. Mahvassh Abreu are here at our Washington, DC, office to discuss your tooth replacement options. To arrange a personal consultation, call today at (202) 496-0891.